The Dubarry Galway Boot is recognised, loved and respected across the countryside for its unrivalled style, comfort and protection. This iconic signature boot is now just as easily spotted on the high street as it is plodging through the fields of Great Britain. The Dubarry Galway Boot is loved and worn by all, from members of the Royal Family to Pony Club mums, from sporting legends to dog walkers across the nation! 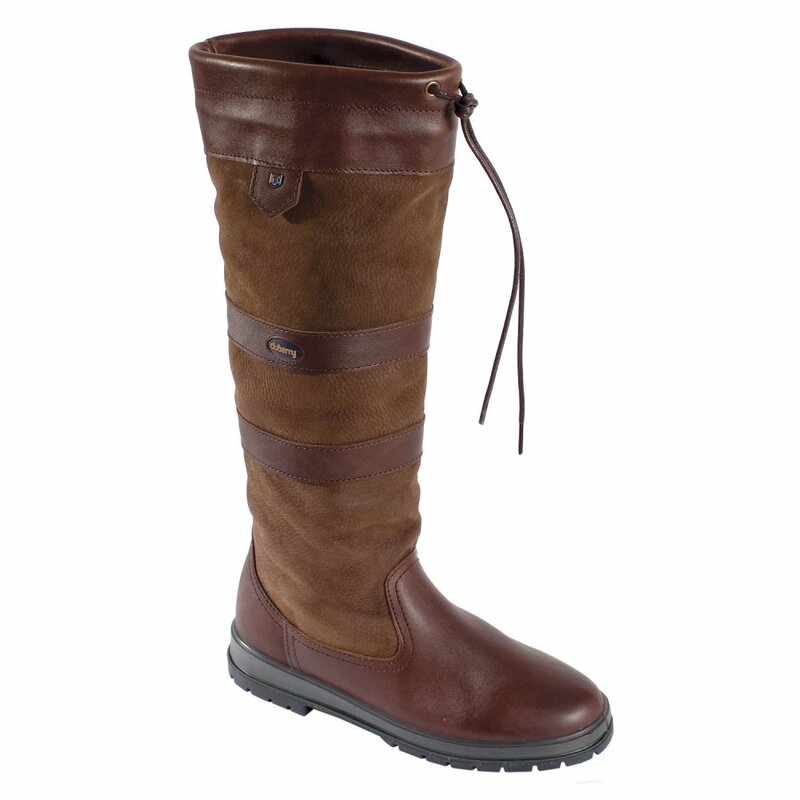 The Dubarry Galway Boot is a fully waterproof country boot with Gore-Tex lining and is available in a wide selection of elegant and traditional colours, including the best selling Walnut leather. The Dubarry Galway is now available in Extra-Fit for those requiring extra room in the calf, and can be teamed with Dubarry Boot Liners to really finish the look.